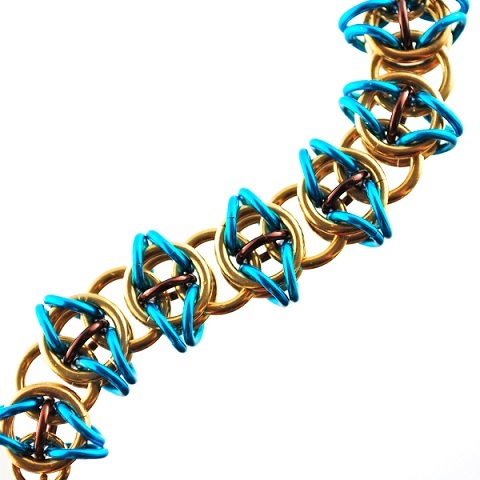 It's surprising how many people still haven't yet tried chain maille. So Blue Buddha Boutique's giveaway on Monday will be a boon for one lucky person to try a new technique. The particular weave of the giveaway kit is easy enough for beginners and also lovely for a Mother's Day gift. So whose mother will be sporting the bracelet? I numbered all the eligible entries and consulted random.org. The randomly selected number matched that of Tammy Roush! Congratulations!